France's REGARDE LES HOMMES TOMBER rose from the shadow in 2013 with a massive self-titled album released through Les Acteurs De L'Ombre Productions. 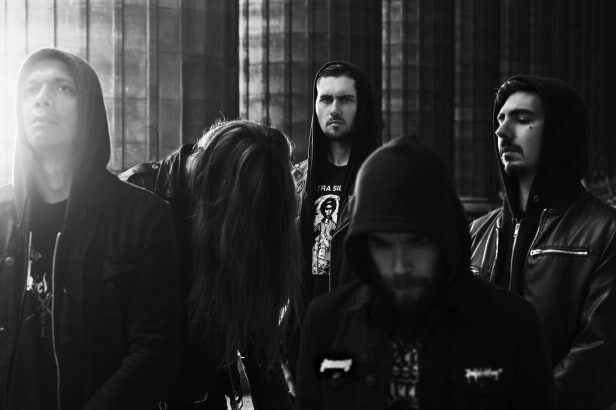 The band instantly imprinted its vision in metal community : an epic blend of atmospheric black metal, sludge and death metal spreading out a dark universe inspired by the sacred scriptures. In 2015 "Exile" came out and intensified quintet music, bringing in more extreme influences and developing a dramatic sense of narration through cunningly balanced songs. Today REGARDE LES HOMMES TOMBER joins force with Season Of Mist to release the third part of their triptych set to be the most away from the light record from the band.